Most advanced learning system to simplify the abacus math learning process and to achieve the result faster! * ABG training is quipped with Abacus Explorer software designed for multi-sensory training, adopted from Japanese' quick mind teaching application. * Most importantly, learn from ABG teachers who passionately work to bring the best potential in your child! Don't be left out and have fun with us! See your child at the top! * Complete one level in 24 weeks in average. * If the teacher groups kids together occasionally, it is for motivating students with their peers and have them compete together in a session. * Recorded online lessons, the whole family can always watch the previous lessons at any time. * Space is limited. Reserve your sschedule NOW! We have limited online teachers at this time. ENROLL ONLINE NOW or email info@abacusbraingym.com for any questions you may have in regards with online class structure. 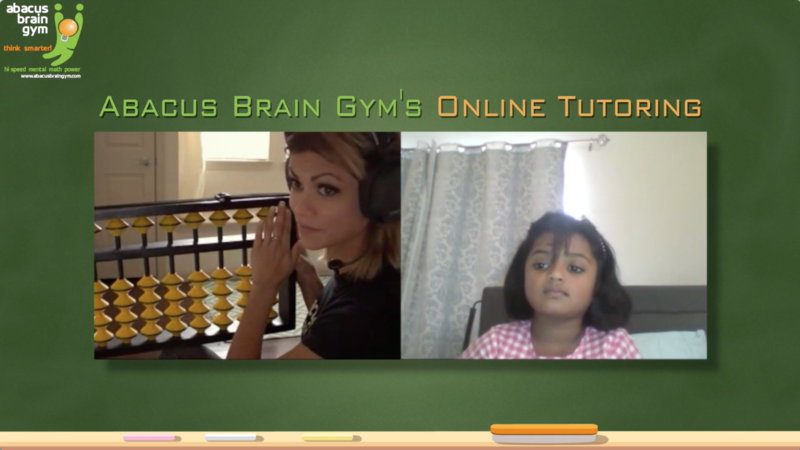 Click the Registration Form and e-mail the completed form to info@abacusbraingym.com or your online teacher.